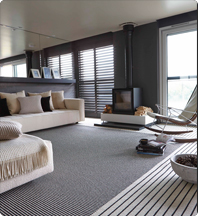 From fashionable to functional, our flooring experts will find the perfect floor covering to meet your needs. At Carpetright we are committed to our products. All employees regularly receive product training and remain constantly aware of the latest trends in flooring. Visit one of our stores today and ask our flooring specialists for advice. With 20 stores throughout Ireland, you can always find a store near you.